Welcome to our friendly beer & cider festival in the heart of the Tyne Valley. Beer, cider, wine, food, music and fun – and even bigger and better. 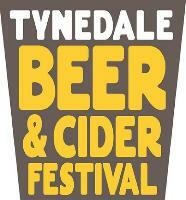 Tynedale Beer & Cider Festival is one of the North East’s biggest beer and cider festivals, and probably the best! An annual event, it takes place at Tynedale Park in Corbridge, the home of Tynedale Rugby Football Club. Over three days in June we bring you the best beers and ciders that the region and the UK have to offer, along with great wine, a Gin bar, fantastic street food and live music. You can also camp on site, so make a weekend of it! © 2015 Tynedale Beer Festival.